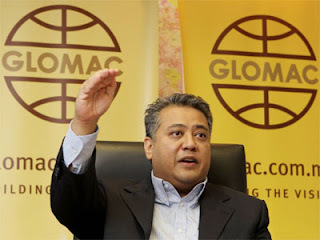 PETALING JAYA: Glomac Bhd's sales for the financial year ended April 30, 2012 is expected to be more than RM500mil buoyed by strong demand in its three major townships. This will be the catalyst for the mid-sized property developer to record positive growth for the year under review. The company will announce its financial results early next week. Glomac has registered about RM400mil sales in financial year 2011. Group managing director and chief executive officer Datuk FD Iskandar told StarBiz that the sales for its township development in Sungai Buloh, Rawang and Sri Saujana in Johor did very well. “These three townships contributed total sales of about RM270mil as of April. 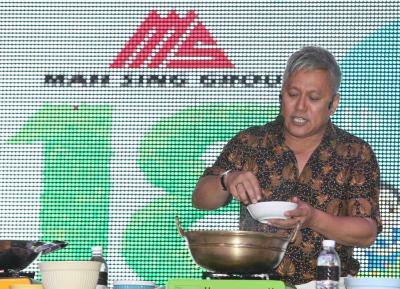 And as of Jan 31, we already recorded sales of about RM343mil and we are confident of crossing the RM600mil mark for 2012. “About 97% of our Reflection Residences in Mutiara Damansara launched in April has been taken up. “These past three years have been exciting for us in terms of growth and we are on a strong foothold now for further development with gearing of about 0.1 times and net cash position of RM350mil,” he said, adding that prior to 2009, the company chalked up sales of between RM200mil and RM250mil. To illustrate the expected growth for 2012, the company's nine-month net profit ended Jan 31 of RM63.5mil had already surpassed the whole of 2011's net profit of RM63mil. Going forward, Iskandar said Glomac's current unbilled sales which could be translated into profits in two to three years' time stood at RM700mil. “We have been expanding on our land bank quite robustly in the last 18 months where we have purchased about four parcels of land in different locations for a total of RM230mil. “Among the three prominent ones are the 200 acres in Sungai Buloh with expected gross development value (GDV) of RM800mil, 200 acres in Dengkil with slated GDV of RM800mil and another 200 acres in Puchong with forecast GDV of RM2bil. “We will launch the Sungai Buloh development by year-end. We will also be looking at developing our land in Sepang where our 200 acres are about 3.5km away from Cyberjaya and 4.5km to KL International Airport,” he said. On its strategies, Iskandar revealed that Glomac was keen to build landed property as there was good demand for it currently. “We are also interested to acquire more land in the Greater Kuala Lumpur area with the right prices,” he said. IVORY Properties Group Bhd is in talks with several parties to jointly develop certain parcels of land at its RM10 billion Bayan Mutiara development. Its executive director and chief executive officer Murly Manokharan said yesterday that Ivory hopes to seal at least one deal in three months. "We are looking for investors to jointly develop portions involving the commercial aspect of the proposed Penang World City project, such as the medical facilities and offices which are in the masterplan," he told reporters after the company's annual shareholders' meeting here. Also present was Ivory deputy chairman and executive director Datuk Seri Nazir Ariff Mushir Ariff. Murly said interested parties included firms from Singapore, Japan and Kuala Lumpur, but he did not name them. "The Bayan Mutiara land is not for sale," he stressed, responding to a query if the company was planning to sell some of the land to individual investors. In March this year, Ivory shareholders gave their nod for the company to buy and develop a 41.02ha site in Bayan Mutiara on Penang island from the Penang Development Corp (PDC) and Chief Minister of Penang (Incorporated). The 41.5ha - comprising 27.3ha of existing land and 14.2ha of land to be reclaimed - was sold for RM1.07 billion, or RM240 per sq ft and will be paid over five years. Last November, Ivory announced that it was entering into a 49:51 joint venture with Dijaya Corp Bhd to develop Bayan Mutiara. Murly said Ivory had been asked by PDC to re-submit its master plan for Bayan Mutiara and include its plans for the land which would be reclaimed. "We hope to re-submit the overall master plan by September as we are currently in the midst of doing soil investigations and other tests at the site," he added. Asked to comment on press reports that a plot of land for the building of a mosque had been purportedly sold to Ivory as part of the Bayan Mutiara land deal and had raised the ire of several groups in Penang, Murly said: "It (the issue) is between the non-governmental organisations and state government. It's political, therefore, we don't want to comment." He said Ivory had obtained planning approval to set up a sales gallery and build show units near the Bayan Mutiara site for the first phase of the project which will see the construction of 1,500 high-rise units. "Although the prices are not fixed as yet, the units are likely to measure around 600 sq ft and 800 sq ft," Murly said, adding that the first phase of the project, covering 4.22ha with a development value of between RM700 million and RM800 million, will likely be launched by the end of this year or early next year. Ivory Properties was set up in 1999 and has since involved in property development in Penang and northern Peninsular Malaysia. 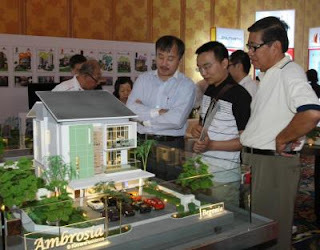 GEORGE TOWN: Ivory Properties Group Bhd (IPGB) plans to launch RM1.6bil worth of properties on Penang island in the second half of 2012. IPGB executive director and chief operating officer Murly Manokharan said these projects comprised the first phase of Bayan Mutiara, which has a gross development volume (GDV) of RM800mil, the third and fourth phases of the residential towers for Penang Times Square (RM300mil GDV), a RM130mil sea-fronting condominium block in Batu Ferringhi, and the RM400mil City Mall and City Residence in Tanjung Tokong. He said the first phase of Bayan Mutiara involved the development of some 1,500 high-rise units with built-up areas of between 500 sq ft and 600 sq ft each. “We are negotiating with investors from Japan and Singapore to explore possible joint-venture projects for the commercial portion of this project,” Murly said. The total built-up area for the commercial portion is 2.5 million sq ft to 3 million sq ft.
“We should be able to conclude a deal in the next three months,” he added. For the condominium block, Murly said the group would position it as a medium to high-end scheme in line with the current demand. The group plans to build 700 condominium units with sizes ranging from 400 to 1,200 sq ft for its Penang Times Square residential towers. It will develop 80% residential units and 20% commercial lots under the City Mall and City Residence project. “We are looking at selling each unit of the City Mall and City Residence at between RM700,000 and RM750,000. Murly said the group would submit the master plan for the entire RM10bil Bayan Mutiara project and reclamation reports to Penang Development Corp in September. Meanwhile, IPGB chairman and group chief executive officer Datuk Low Eng Hock said the group expected a significant contribution in profit and cash flow from the acquisition of associate company Ivory Villas Sdn Bhd. “We foresee the positive effect arising from acquisition of the remaining 51% equity interest in Ivory Villas Sdn Bhd for RM40mil upon completion on April 2,” he said. On the recently launch The Latitude, Low said the response was overwhelming and it had sold out all non-bumiputra units of Tower A of the freehold residential development in Tanjung Tokong. The Latitude has a gross development value of RM163.7mil. “This luxurious 45-storey tower is conceptualised as an abode that promotes affordable luxury by making mid-sized condominiums in the suburbs an attainable reality for those craving understated elegance. “The take-up rate for The Latitude is now 70%. The two towers are poised to be the most affordable luxury condominium in Penang,” he said. Low said construction of the project had begun early this month and scheduled for completion in three years. For the first quarter ended March 31, the group posted RM3.77mil in pre-tax profit on RM24mil revenue, compared with RM6.3mil and RM27.3mil respectively in the previous year's corresponding period. KUALA LUMPUR: TA Global Bhd, a property development company, is expanding its hotel portfolio with the acquisition of the five-star Movenpick Karon Beach Resort and Spa in Phuket, Thailand. The acquisition, which is already completed, will enhance TA Global’s hospitality operations in major cities worldwide and expand its existing portfolio of hospitality properties in Thailand. “The acquisition of Movenpick Phuket allows the company to further expand its portfolio of hotels in the growing South-East Asian region. “We are confident the hotel will be able to achieve commendable returns, provide steady revenue stream while enhancing the revenue contribution from the hospitality division to the group,” TA Global executive director Kimmy Khoo said in a statement yesterday. Movenpick Hotel consists of 175 guestrooms, 163 suites and villas and 30 beachfront two-bedroom apartments. The hotel is situated 45 minutes from Phuket International Airport and is expected to attract both short and long-stay leisure travellers, families and corporate guests. TA Global currently has six hotels under its portfolio. They are namely The Westin Melbourne in Melbourne and Radisson Blu Plaza Hotel Sydney in Australia, Aava Whistler in Canada, Swissotel Merchant Court in Singapore, Swissotel Kunshan in China and the Movenpick Phuket in Thailand. KUALA LUMPUR: Ahmad Zaki Resources Bhd (AZRB), which has an orderbook of RM1.9bil, is eyeing private sector projects, including redeveloping older buildings along Jalan Sultan Ismail in Kuala Lumpur. “Besides tendering for government-related projects, we are looking at the private sector such as the redevelopment of a few older hotels along Jalan Sultan Ismail,” said managing director Datuk Wan Zakariah Wan Muda. “We have not placed our bids but we are eyeing because we think that is our forte,” he told the reporters after the company's AGM yesterday. He said that the company was also bidding for constructing and upgrading of towers blocks in the private sector. “We have surpassed our target for this year after securing the MRT project. 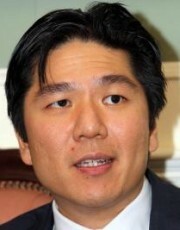 It would be good if there are additional jobs,” he said. The company's projects at hand include the MyRapid Transit (MRT) Sungai Buloh-Kajang line viaduct 6 and International Islamic University's (IIUM) teaching hospital. “We also participate in the bidding for Kuala Lumpur International Financial District,” he added. He said the company's core business was still engineering and construction which accounted for 83% of its revenue. The company targets net revenue of at least RM500mil for the coming year. “In order to replenish our orderbook, we are looking into at around the same amount if not more,” he added. In response to any signs of slowdown in construction projects, he said: “I don't think there is a slowdown. After the private finance initiative was introduced, there are big projects available. “We have positioned ourselves to be a competitive and good builder in such projects. On updates of the MRT project, he said the project had started and was on schedule. The project is expected to be completed within the construction period of 43 months. As for its plantation segment which is still seeing red, chief operating officer Datuk Roslan Tan Sri Jaffar said: “We hope it will be self-sustainable for the three to four years to come as the palm trees would have reached maturity. “We have a land bank of about 21,000 ha in Kalimantan. “Currently, only 5,000 hectares is used and we plan to use another 10,000 ha over the next three years. We hope to get three to four tonnes of (palm) oil per hectare then. “It is our strategic move to diversify our revenue streams through plantation,” he said. Congested : There is a daily jam at the new TTDI tunnel near Bandar Utama going towards the LDP highway. 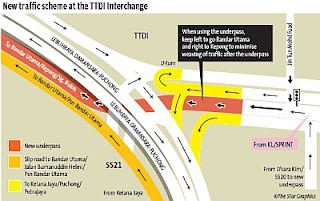 Traffic is expected to flow better when more signage is put up at the new Taman Tun Dr Ismail (TTDI) Interchange on the Damansara-Puchong Highway (LDP), said Lingkaran Trans Kota (Litrak). Litrak’s head of communications Shah Rizal Mohamed Fawzi said congestion would be minimised when motorists became more accustomed to the new traffic scheme. 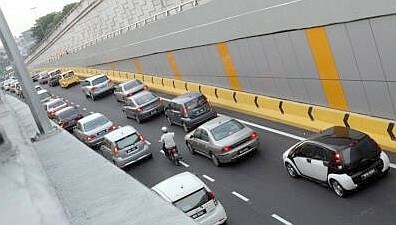 He was commenting on feedback from motorists who found themselves caught up in the congestion after the TTDI underpass. From observation, traffic flow has improved at the TTDI Interchange that replaced the traffic lights at the junction. However, traffic heading towards Kepong and Bandar Sri Damansara has to slow down immediately after that as motorists need to weave into one lane from the two-lane underpass to merge with traffic on the LDP. The weaving of traffic often causes congestion during peak hours. 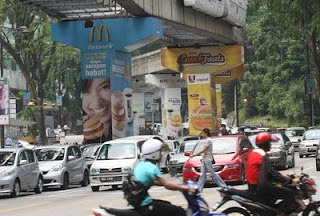 It is sometimes worsened by the traffic from the 1Utama traffic light junction. “We are building more signage gantries to show motorists the correct lane to take when using the underpass, so that they do not need to criss-cross their way back onto the LDP,” Rizal said. Litrak’s head of engineering department Francisco Anthony Doss said it was difficult for Litrak to find a solution to the long queue of cars from the Bandar Utama traffic light junction as the township’s development was out of their control. “Alternative exit points are needed for Bandar Utama with increasing development,” he said. He revealed that there was a proposal from Bandar Utama residents to change the traffic light junction from four-phase to three-phase to alleviate congestion. “The matter is being discussed now and we are open to ideas. But we need to also take note that the MRT (My Rapid Transit) will change the traffic needs here,” he added. The new underpass was open to traffic on April 21. Some finishing touches work, including the installation of road kerbs and signage are still being carried out at the TTDI Interchange. The works are scheduled to be completed by end of July. 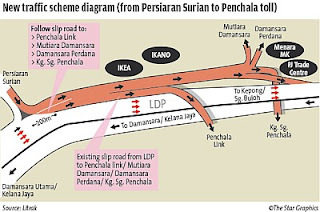 The RM130mil interchange was funded by Litrak. The upgrade for the stretch from Persiaran Surian to Penchala toll plaza is expected to be completed in August. According to Litrak, the 25-month project costing RM98.6mil is three months ahead of schedule.